I thank West Chester University for this generous award. Sometimes when I hear people introduce me, I have to look over my shoulder and make sure they’re talking about the right person. I’m just a kid from North Philly who wanted to do something positive to change his community. A kid who one day, just wanted to be heard. Like many inner city kids, I grew up in poverty. Not only was I determined to get out of poverty, but I was adamant that I would come back so that other children wouldn’t have to live the tough life I lived. And that is why receiving this award is so special to me. I don’t do the work that I do for awards or accolades. I understand that I stand on the shoulders of giants like Martin Luther King, Jr. and many nameless leaders who put their life on the line so that I can stand at this podium today. I understand that I owe them a debt. And every day that I send a five year old to kindergarten ready to learn, I am repaying that debt. Every day that I send a troubled inner-city teenager to college, I am repaying that debt. And every day that I stay in North Philadelphia to lead by example instead of running away, I am repaying that debt. My hope is that one day, my two sons sitting here will repay their debt to me as well. It’s not a monetary debt. It is a debt that equates to a commitment to service, to loving and improving humanity. I want my boys to know that they too stand on the shoulders of kings and queens. 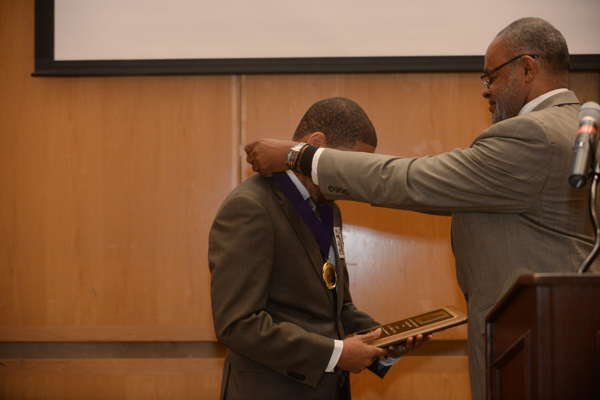 Otis Bullock, Jr., was selected by the Frederick Douglass Society to be the recipient of the 2015 Drum Major for Justice Award. 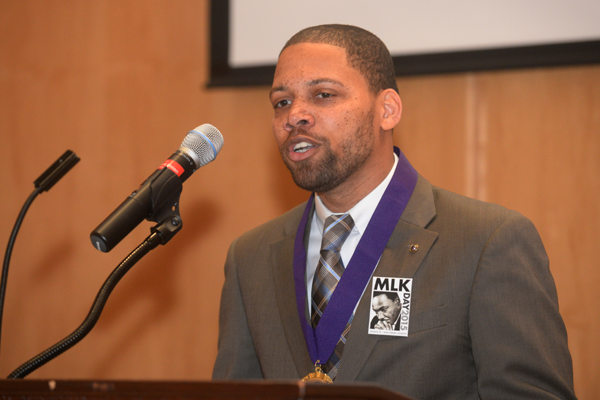 Each year a West Chester University Alumni is awarded the Drum Major for Justice Award. This is a prestigious award that is given to those that have been following in the footsteps of Dr. Martin Luther King Jr. by dedicating their life working to gain justice for others. 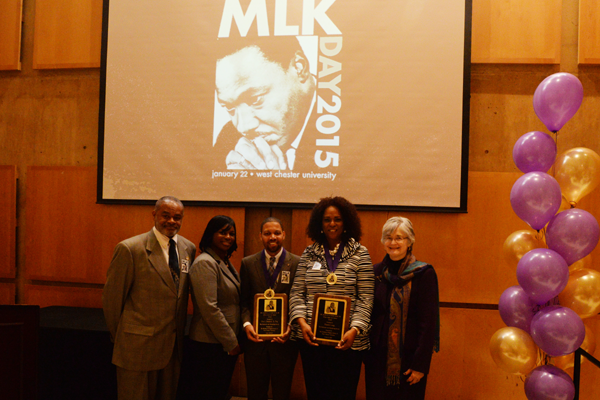 The award was given at the Martin Luther King (MLK) Celebration Brunch on Thursday, January 22, 2015.